Less sometimes really is more, and that is never clearer than when you look at the beautiful SF435 6oz pewter hip flask. 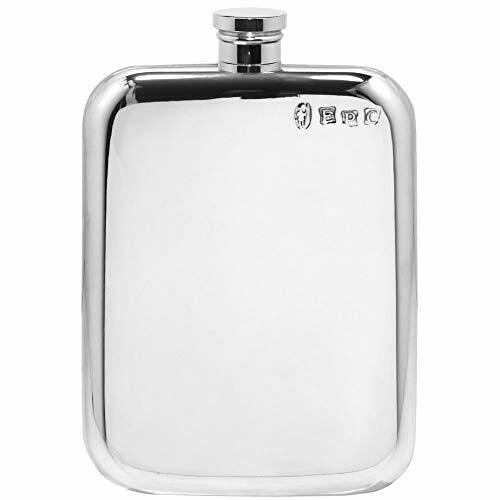 With no complicated design features, this traditionally shaped and plain hip flask exudes elegance and class. What's more, being plain makes this the ideal hip flask for adding an engraved message of your own choosing which can turn it into a truly unique and personal gift for any occasion. Composed of high quality, lead free pewter, the flask will not tarnish over time and measures 5.1" by 3.5". To complete the package, the flask is supplied in a stylish cream and black presentation box. If you have any questions about this product by English Pewter Company Sheffield, England, contact us by completing and submitting the form below. If you are looking for a specif part number, please include it with your message.